George and was born in Newtownforbes on the 14 January 1886. His father William came from the parish of Newtownforbes, and was a merchant in their youth, while his mother Louisa Adelaide MacDonagh was a matron from Dublin. George moved to Rutland Square, Rotunda, Dublin (likely for education purposes) where he became a boarder with his older brother William. After his education, George worked as a printer before enlisting in the army in March 1905. Pte. 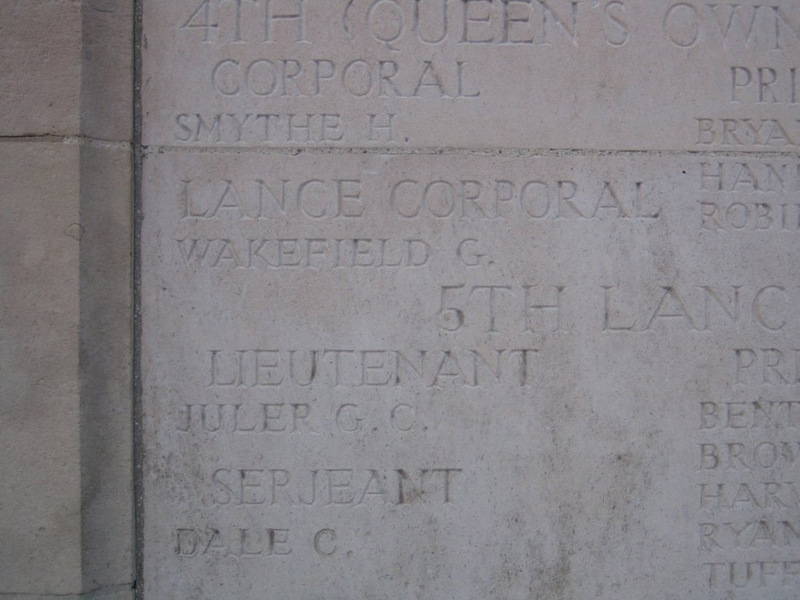 Wakefield was called to the front in September 1914, and was later promoted to Lance-Corporal. 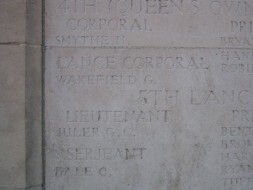 He died at the Battle of Messines (1914) which took place from the 12 October to the 2 November 1914. His brother William was drowned on the R.M.S. Leinster on the 10 October 1918. In his will, George leaves all his property to Miss Margaret Kennedy of 6 Foster Terrace, Ballybough, Dublin.